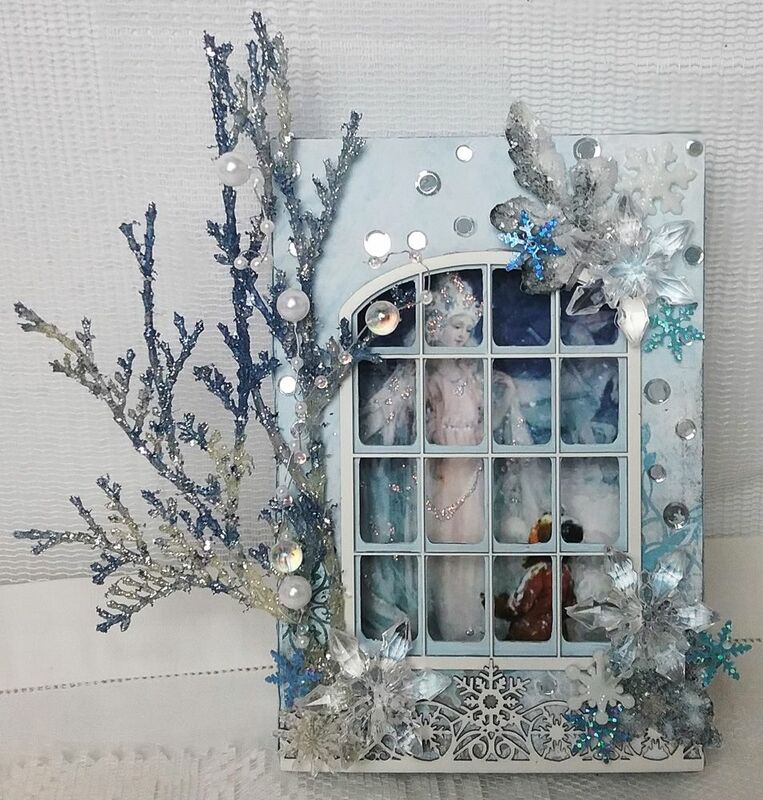 The inspiration for the first shadowbox comes from this month’s kit at AlphaStamps; The Snow Queen Kit. 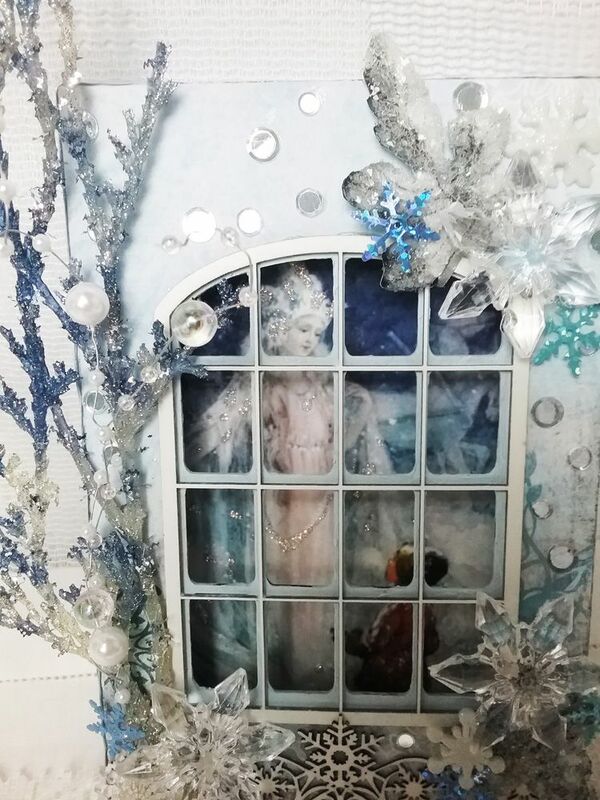 Through the window, you can see a little boy having a magical experience encountering the frosty Snow Queen. She sparkles in the frosty night and the boy looks on with wonder. 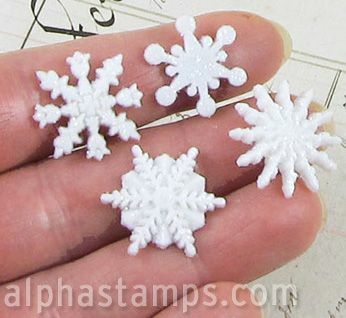 Flanking the window scene are various snowflakes, frosty picks, and beads. 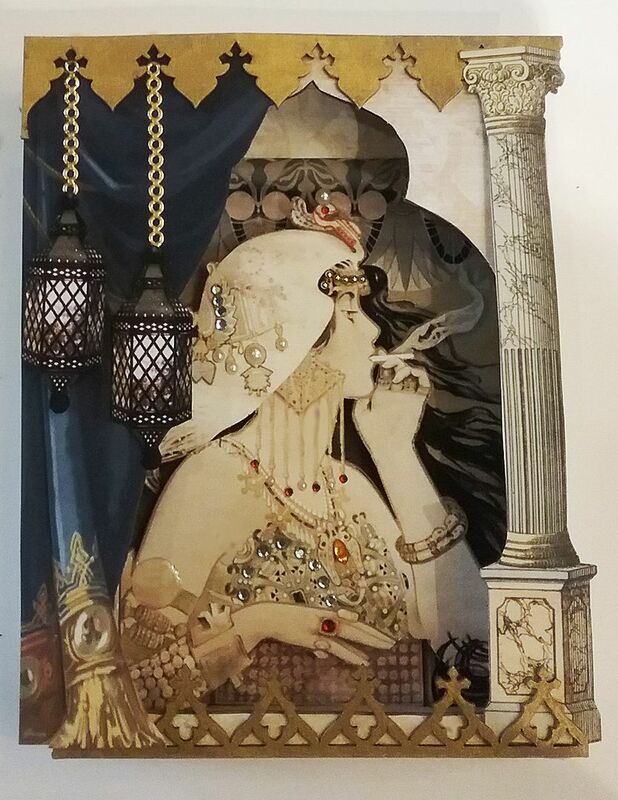 The inspiration for the second shadowbox comes from the new Taj Mahal Shadowbox Lid. 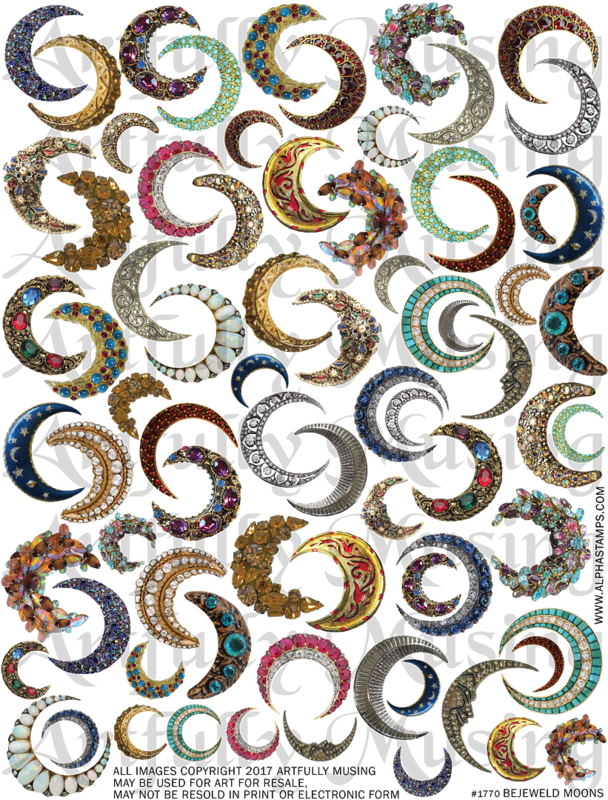 Inside is a beautiful bejeweled mysterious woman. 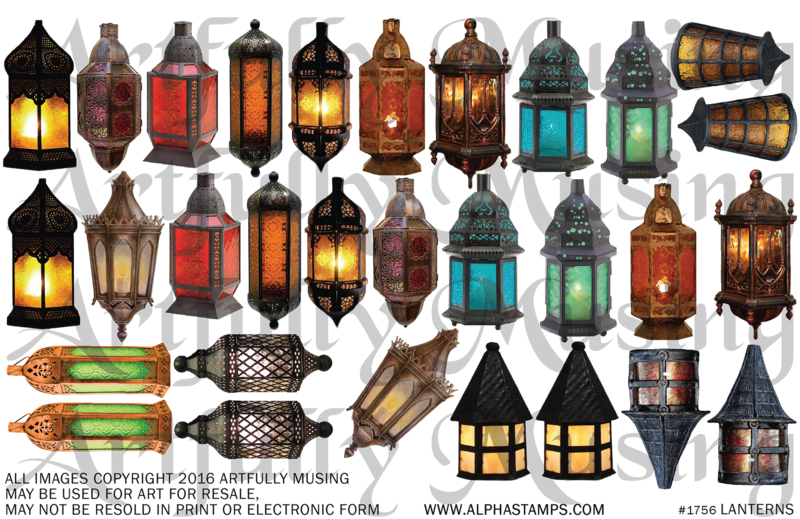 The scene is decorated with blue curtains, a marble column, hanging lanterns, borders and a jeweled star and moon. 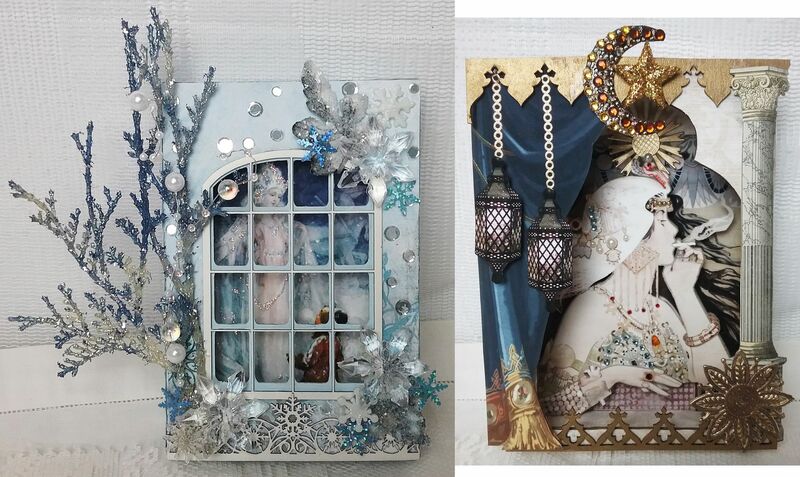 In the post below I’ll walk through how I assembled each shadowbox and the products I used. 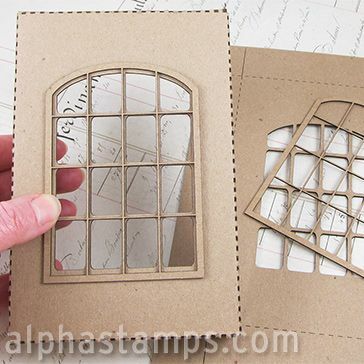 The structure of the shadow box is made from the Double Pane Window Shadowbox Lid and a 4” x 6” Shadowbox. 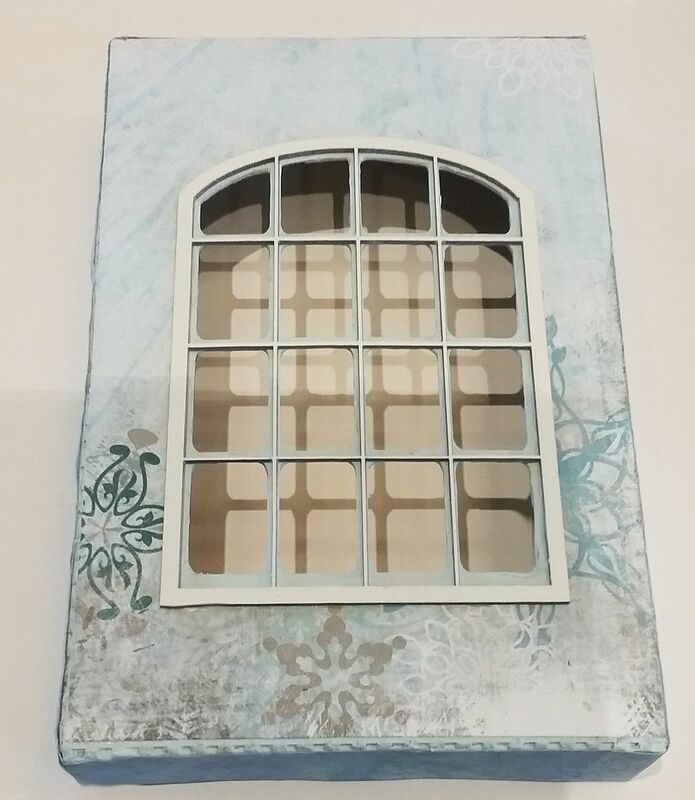 I started by painting the area around the window cutout blue. Next, I painted the window overlay white. 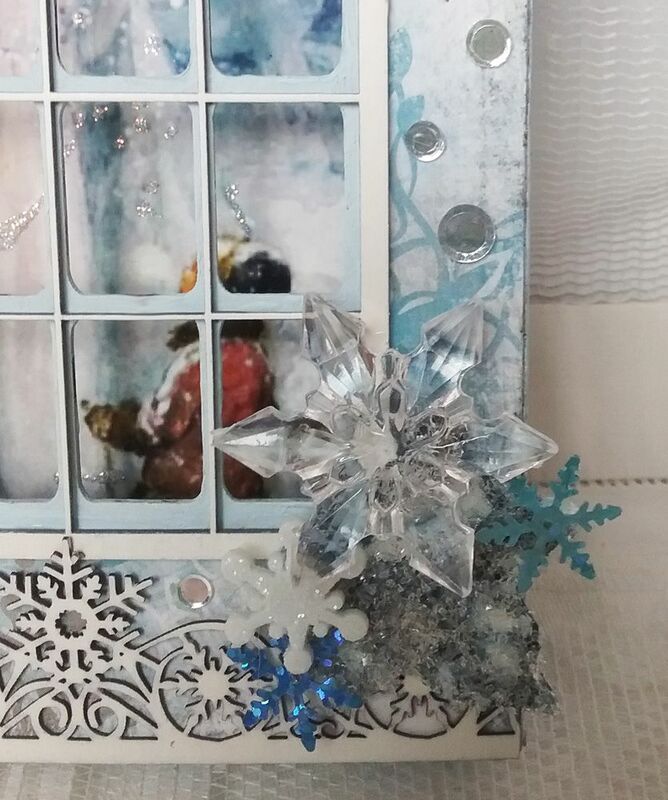 I lined the inside of the shadowbox with Aqua Blue Sponged Background Scrapbook Paper. 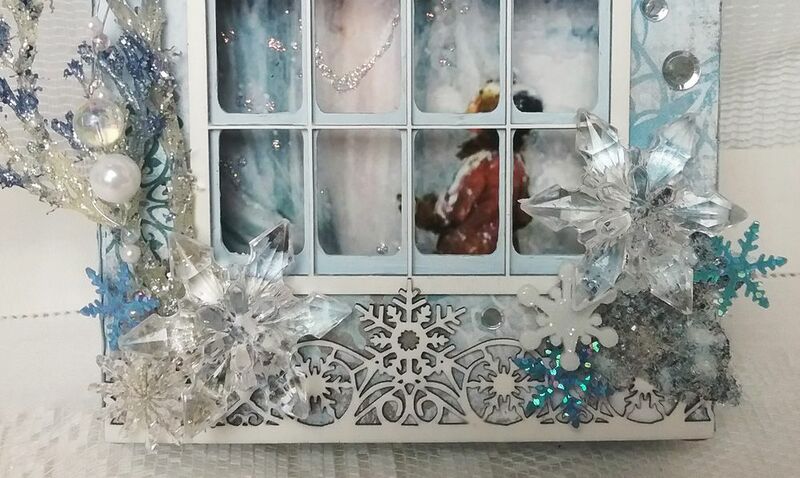 Next, I glued an image from the Snow Queen Collage Sheet. It’s popped up with double stick foam tape so that it is easier to see through the windows. 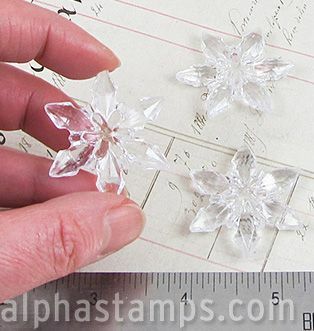 I’ve also accented the image with Diamond Stickles. 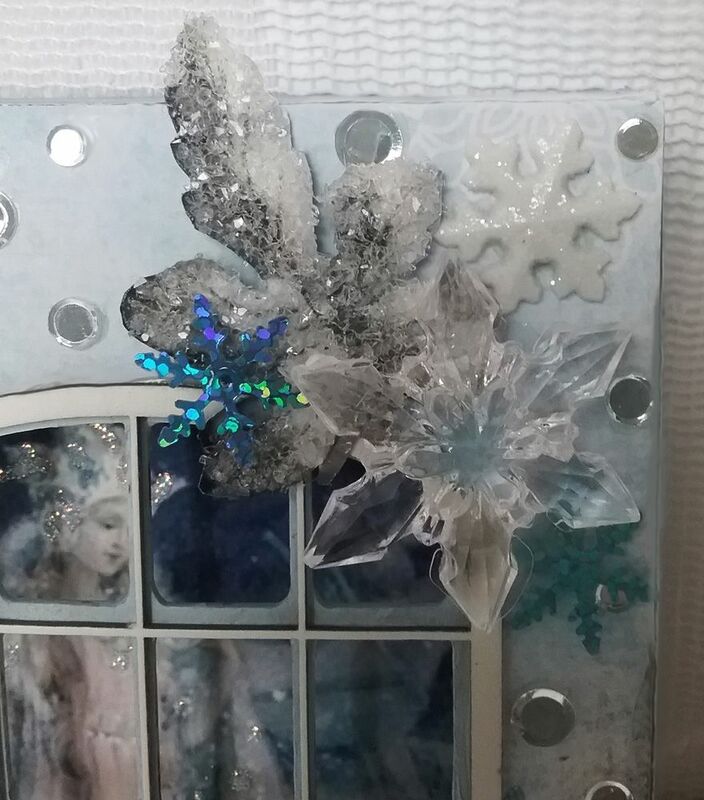 To the bottom front, I added a Snowflake Border painted white. 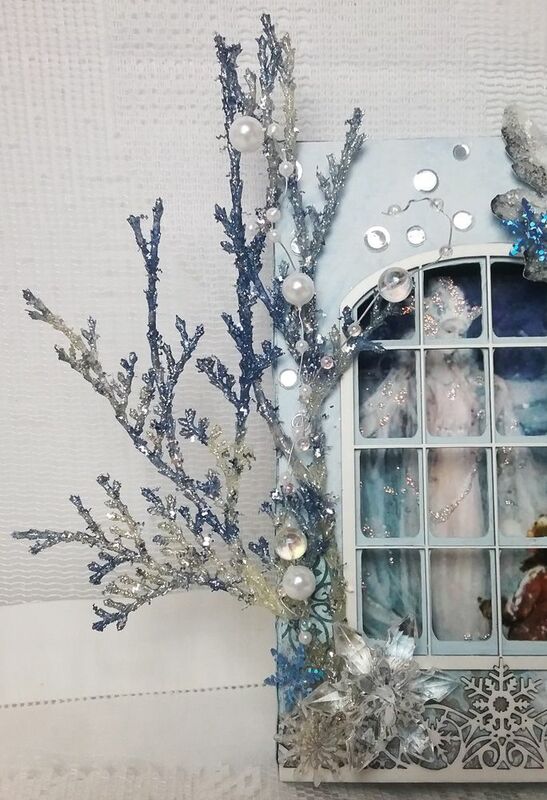 To the side, I added a Silver Juniper Pick painted blue using Alcohol Ink and Clear Iridescent and White Pearl Beaded Garland. 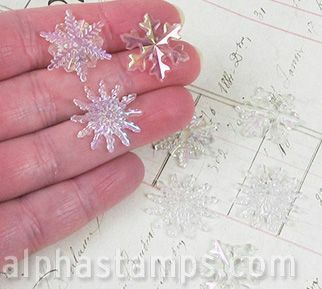 On three of the corners, I added various snowflakes; Clear Acrylic Snowflakes, Flat Back Clear Iridescent Snowflakes, White Glittered Snowflakes, Large Snowflake Sequin Mix. 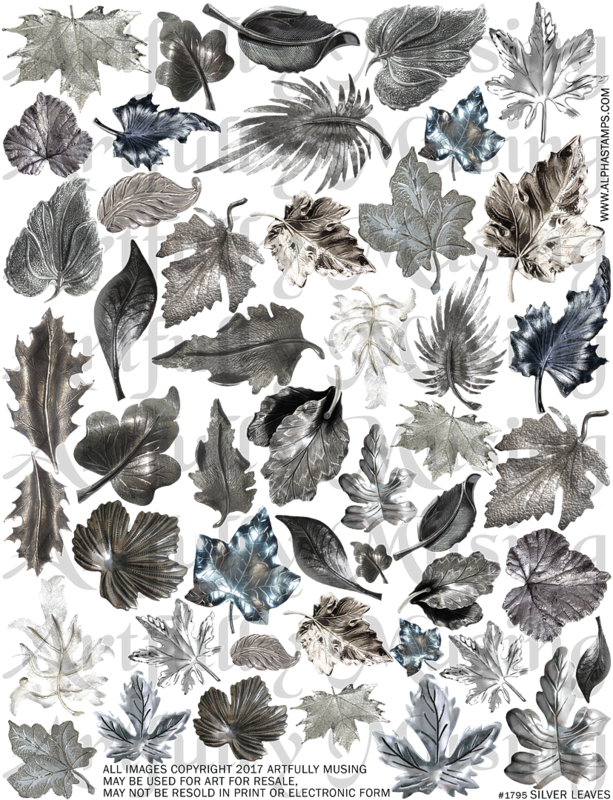 I also added leaves from my Silver Leaf Collage Sheet and covered them in Twinklets Diamond Dust. 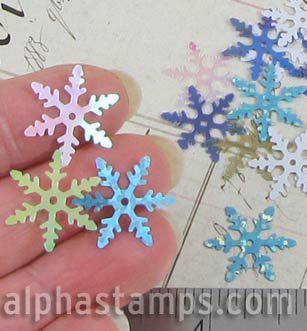 The final touch was the addition of Iridescent Clear Icicle Confetti Mix which made me think of falling snow. 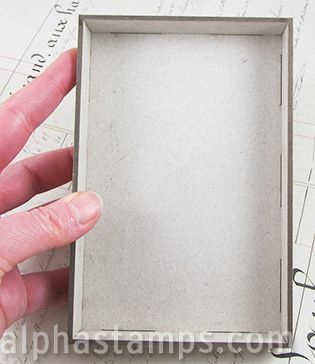 The structure of the shadow box is made from the Taj Mahal Shadowbox Lid and a 4” x 6” Shadowbox. 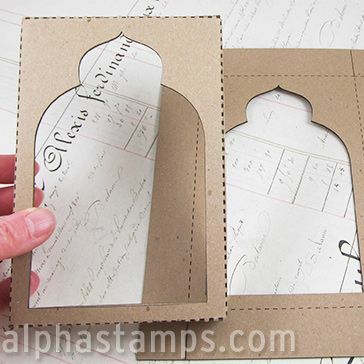 I lined the inside of the shadowbox and the front of the Taj Mahal Lid with Faded Cream Wallpaper Scrapbook Paper. 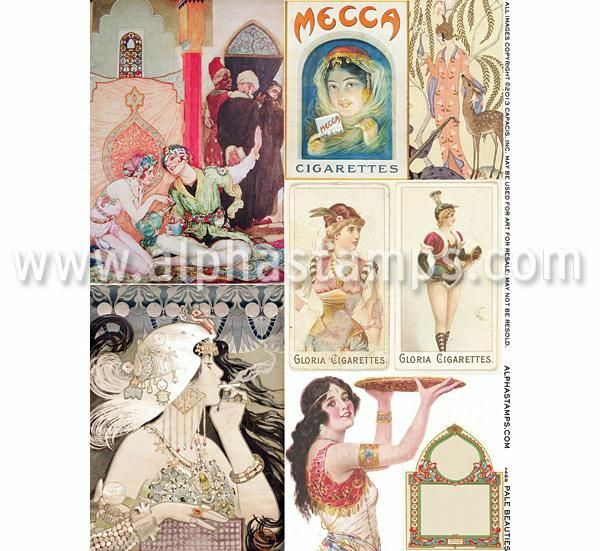 The image I used is from the Pale Beauties Collage Sheet. 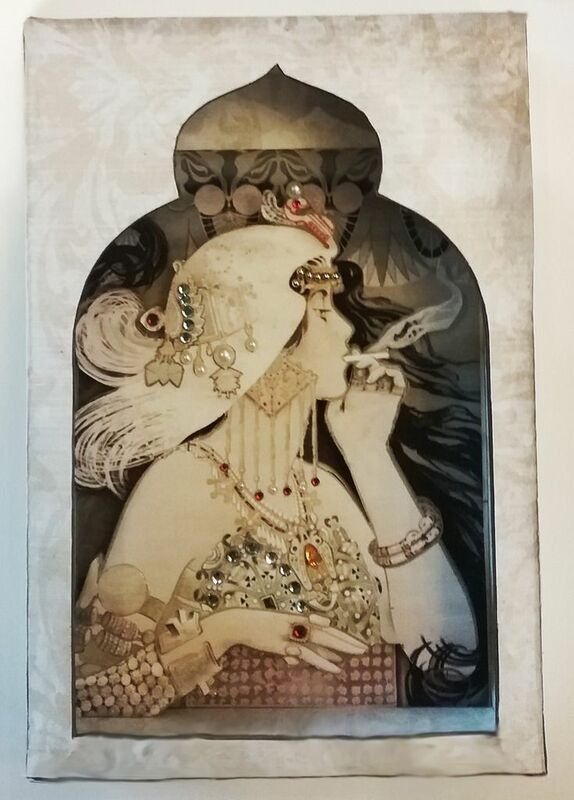 I printed it out twice, attached one image to the back of the shadowbox and cut out the woman from the other copy of the image. 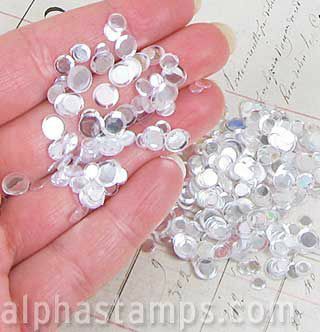 I popped up the cutout image and added flat back pearls and rhinestones to give the woman sparkle and dimension. 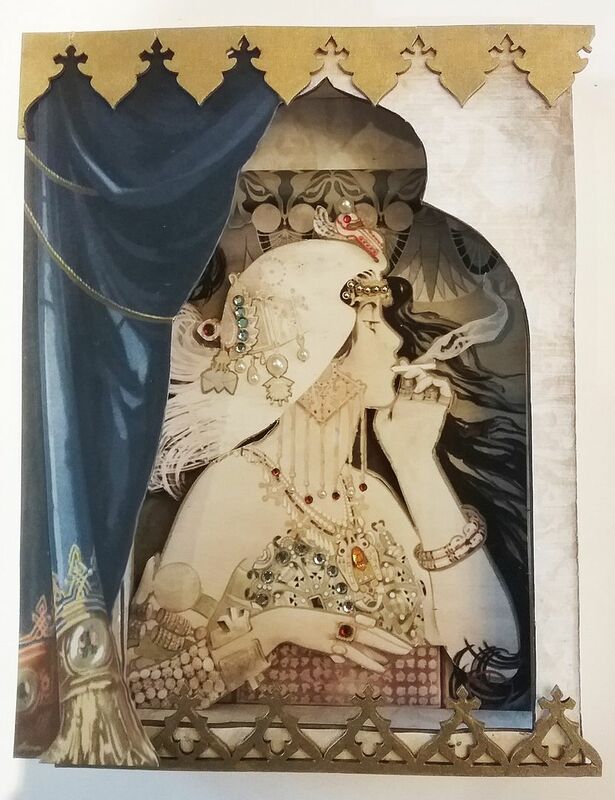 To one side of the box, I added a Blue Side Curtain with Fringe Download image which I printed twice. For depth, I cut away part of one curtain and layered the curtains together separated by double foam stick tape. 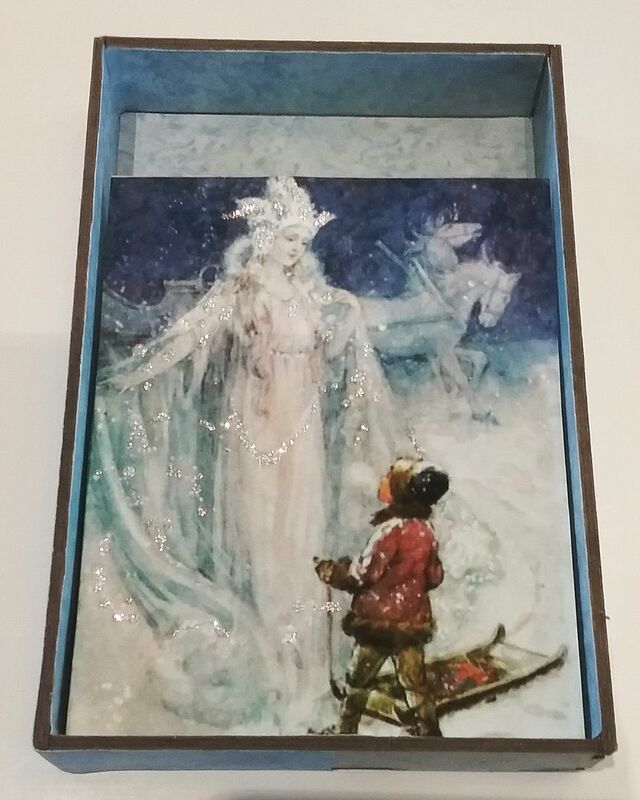 To the bottom of the box, I added chipboard Stained Glass Border which I painted gold. 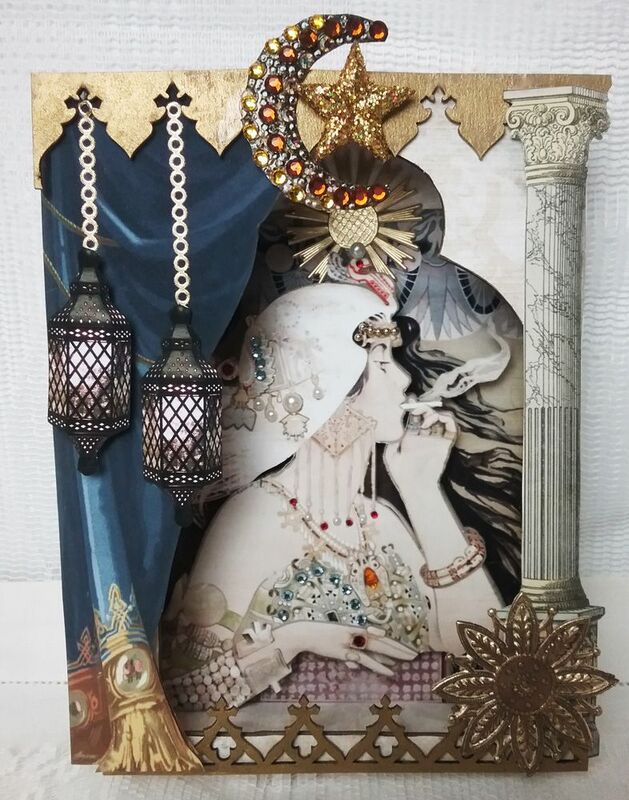 I added the negative of the border (chipboard left over when you remove the border) to the top and also painted it gold. 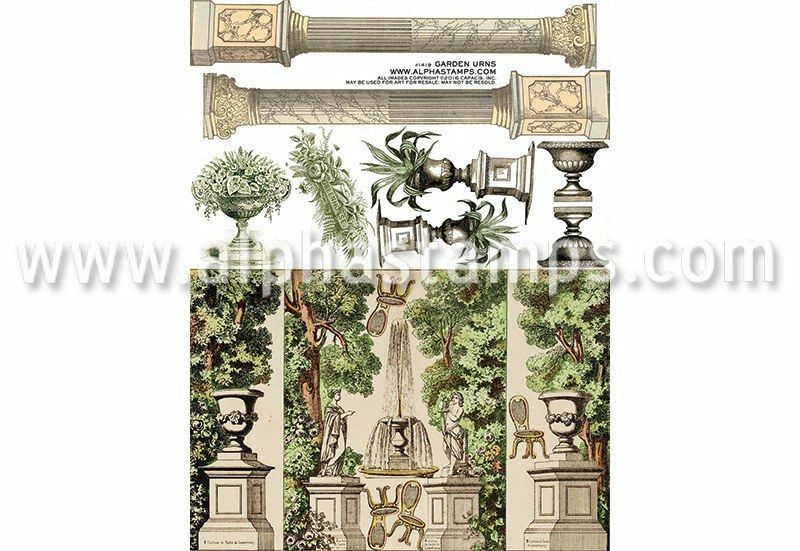 To the left side, I added a column from the Garden Urns Collage Sheet. I hung lanterns from my Lanterns Collage Sheet suspended by metallic stickers from my stash. 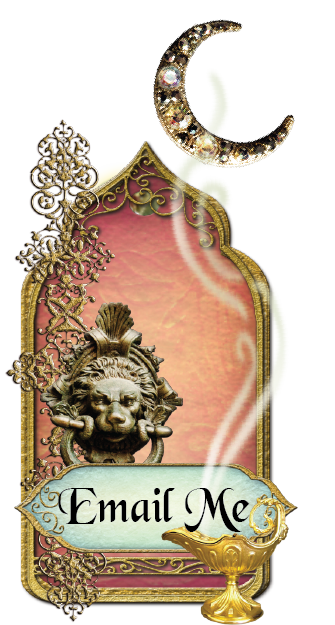 I then added a Gold Dresden Halo behind the image of the woman as well as a Fancy Gold Dresden Rosette to the bottom right corner of the shadowbox. 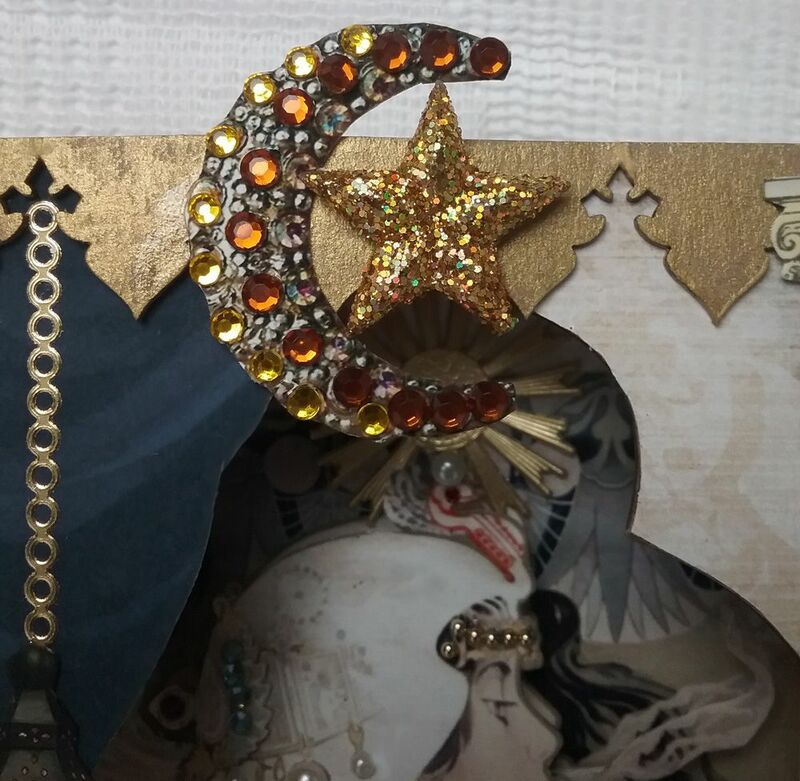 The final touch was a moon from my Bejeweled Moon Collage Sheet to which I added rhinestones and a Glitter Star Ornament. stunning! 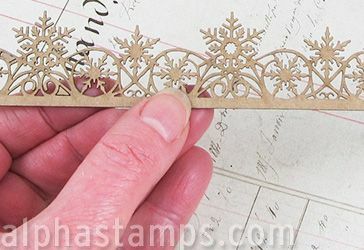 the attention to detail is incredible.